Here is the letter at the Swiss government agencies which terminated the plan to re-locate Snowden into Switzerland, with a link to the larger intelligence agency dossier at EU governments on how the US agencies have run this hoax. Since the previous year – in case you did not know – the governments and intelligence agencies of Germany, France, the United Kingdom, Russia, and Belgium, have all known that the man in Russia ‘Edward Snowden’ publicly requesting Swiss asylum, is a liar and fraud, an active CIA agent hoaxing and defrauding European citizens, a man who may have already helped murder innocent people via the CIA ‘Operation Fake Dissident Snowden’. The Swiss Federal Intelligence Service will understand this report quickly, if not holding it already, and may find amusement confronting Mr Snowden himself, his lying CIA-backed ‘Snowden’ journalists, and the CIA and US regime over this ‘Snowden’ fraud, which was clear from the beginning, when Snowden was promoted by the same CIA media, Guardian & NY Times – who have criminal charge complaints registered against them in Europe for spreading criminal lies about a genuine exiled USA dissident. No real victim receives ‘Snowden’-type promotion by CIA media. And Snowden proved himself to be a fraud via his own words, not even interested in the corruption of the US judges who would put him on trial. Everyone around Snowden is CIA – his lawyers, his journalists, etc. ‘Operation Snowden’ is a CIA ‘limited hang-out’, i.e., speaking some truths, to sell lies that defraud and murder. Among the purposes of ‘Snowden’ – who never ‘stole’ any documents – is to increase the sense of terrorism and blackmail among governments; to promote CIA-tied media, their lies and frauds; and very likely to entrap genuine USA dissidents, who may have already been silenced or killed after contacting ‘Team Snowden’. 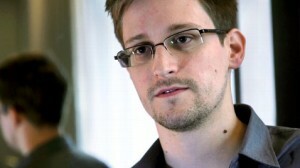 The fraud ‘Snowden’ is now a subject for quiet USA-Russia negotiation. The USA would like to move this liar Snowden to Switzerland, where he can meet more easily with CIA colleagues and continue his criminal activity … the US prefers this option to bringing Snowden back to the USA for a fake ‘trial’ and an fake staged ‘imprisonment’ of a few years while Snowden would be hidden at a CIA site. Edward Snowden has no hesitation about fraud, murder, deception, or even the violation of children. He has perhaps already defrauded Swiss citizens into donating ‘Snowden defence’ funds to what is already known in several nations as a proven CIA programme. The good Swiss citizens deserve your protection from ‘Operation Fake Dissident Snowden’; the file above will lead you to all that you need.